No one in Latin American historiography has paid more attention to questions related to the emergence of nations than Jose Carlos Chiaramonte. Reflecting on eighteenth- and nineteenth-century uses of the concept of nation in Europe and the Americas, Chiaramonte argues that historical questions related to the term "nation" derive from its changing meaning in different contexts. The historian would be better advised to focus on the development of forms of state organization, and the emergence of national states, rather than the "nation" as a cultural community prior to independence. Nation and State in Latin America begins by examining the effects on historians of the ideological and methodological prejudice spread by contemporary nationalism on the historical studies of Latin America. Chiaramonte analyzes uses of concepts such as "nation" and "state" in both Europe and the Americas. Chiaramonte considers the prominence of sovereign "pueblos" (cities and townships) and their role during independence. He argues the non-existence of nationalities in the period and proves that feelings of collective identity at that time amounted mainly to local affections. He concludes with an analysis of major trends in federalism and the law of nature and nations, crucial to understanding the political concepts of the age of birth of modern Latin American nations. 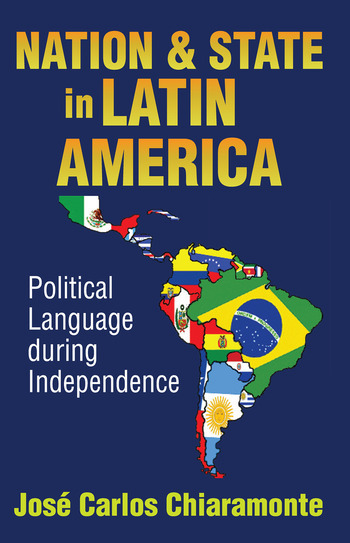 This book covers the whole of Latin America, making use of comparative viewpoints. The different national intonations of the concept of sovereignty and the nuances of the federal and confederate forms of the state are examined in detail.